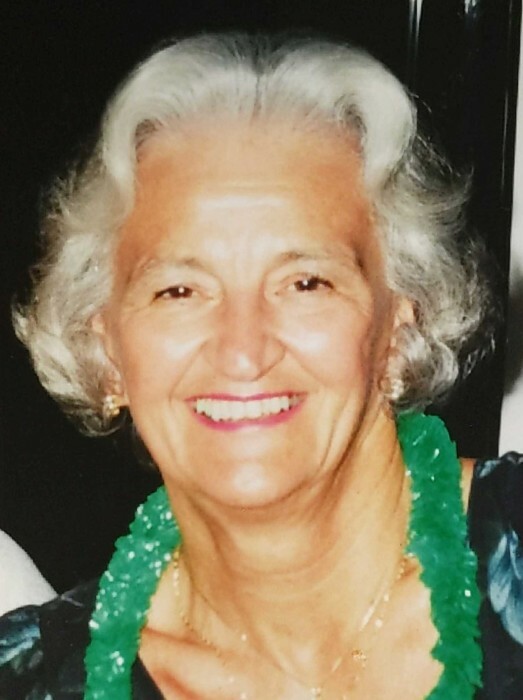 Mildred Rose ‘Toots’ Fabry Waldman, 88, formerly of Smithfield, OH, passed away Sunday, March 24, 2019, at The Lindley Inn in The Plains, OH. She was born January 23, 1931, in Cleveland, OH, to late John and Rose Grendel Fabry. In addition to her parents she was preceded in death by five brothers: John ‘BeeGee’, Paul ‘Pete’, Andrew ‘Shag’, Martin ‘PeeWee’, and George who died in infancy. Toots is survived by her loving husband of sixty-eight years, Edward ‘Ed’, whom she married on March 10, 1951, eleven days before he shipped out to serve overseas in the Korean War. Also surviving are her daughters, Cindy Jo Straus and Sherry Waldman, and her son, Eddie Waldman (Barbie Barlage), as well as her three devoted grandsons, Joshua (Jessica) Straus, Noah Straus, and Harm Rogman of Bennet, Nebraska. She was also the beloved ‘Gramma’ to great grandchildren, Kati Jo, Kalli Rae, Cole Thomas, and Declan Zane Straus. Nieces and nephews survive including nephew Terry (Cecelia) Fabry who has a special concern for his Uncle Ed and Aunt Toots. include the Piney Fork American Legion Women’s Auxiliary and the Smithfield Historical Society. Toots’ greatest joy was her family, and she cherished all the time spent with them. Her final days were with her husband, children, and grandchildren at her side. The family would like to extend a special thank you to the staff at The Lindley Inn for the care, compassion, and dignity given to Toots. Private services were held by the family and interment will be at a later date. Toots’ arrangements are in the care of the J.E. Foster Funeral Home in Smithfield. In lieu of flowers, memorial contributions may be made to the Smithfield United Methodist Church, in care of Larry Rish, 2029 Co. Rd. 25, Bloomingdale, OH 43910 or the Piney Fork American Legion, in care of Tony Phillippi, 1341 Co. Rd. 15, Rayland, OH 43943.